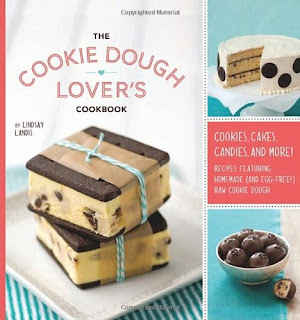 The Cookie Dough Lover's Cookbook by Lindsay Landis has every recipe you could possibly imagine using cookie dough. The book is divided into 7 chapters. The first chapter has the recipes for all the cookie dough flavours that are used in the recipes throughout the book including vegan/dairy-free and gluten-free cookie dough. The first one I tried was the basic eggless chocolate chip cookie dough which was really quick and easy to make. I used this dough to make chocolate chip cookie dough truffles. So delicious! There are so many recipes I can't wait to try in this book. Fun Snacks and Party Fare. I love the look of the sugar cookie dough lollipops and the brown sugar cookie dough layer cake.